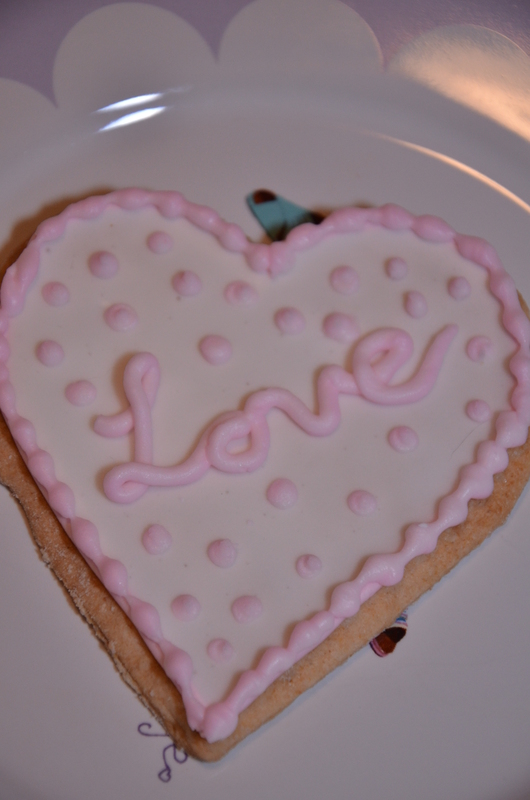 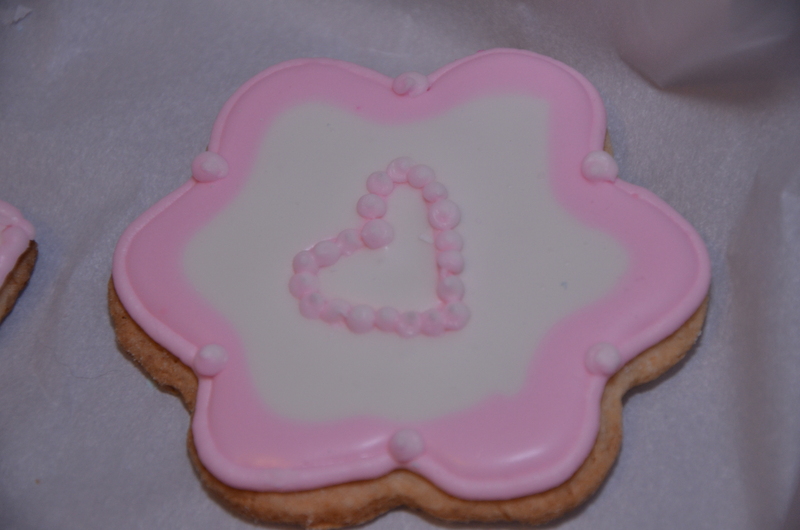 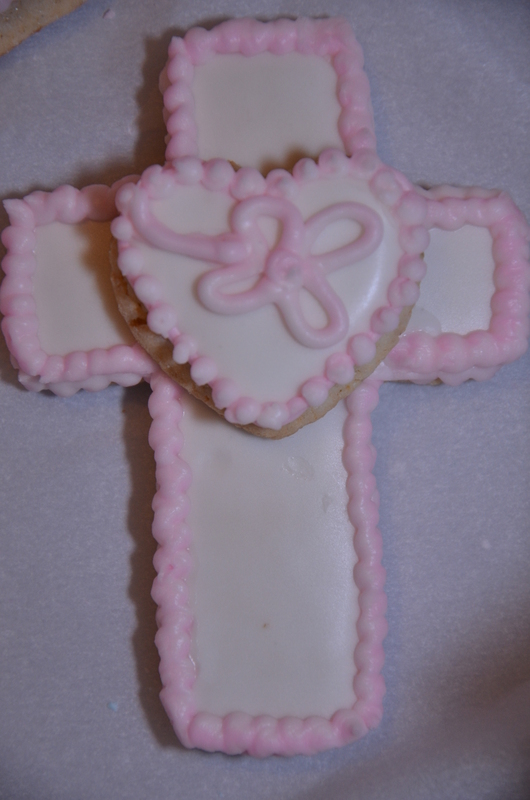 So these are made with my Grandma Mickey’s secret family sugar cookie recipe. 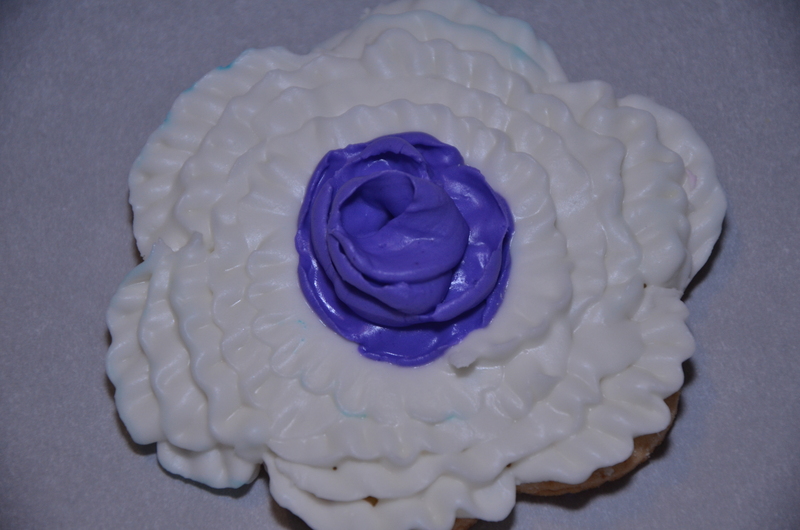 So I’m sorry that I can’t share that part, but I did include a video that I found helpful on how to make the correct consistency for Color Flow Icing. 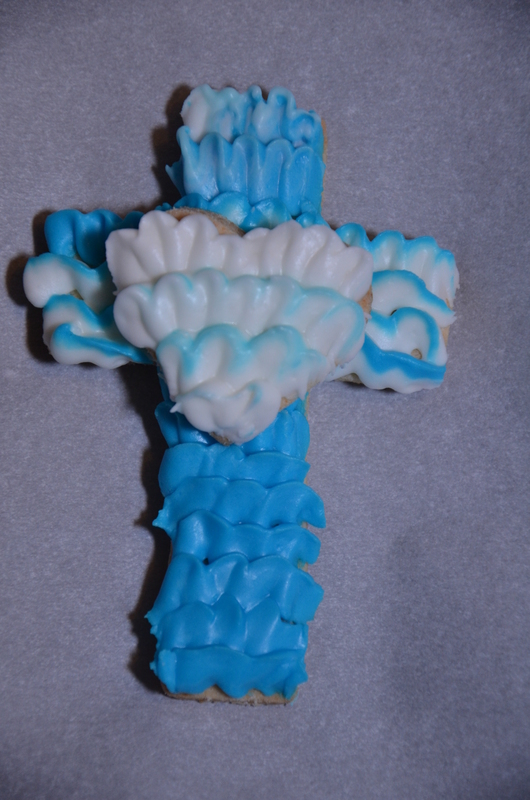 (click for video) Another helpful hint is if you need your icing to set up a little faster. 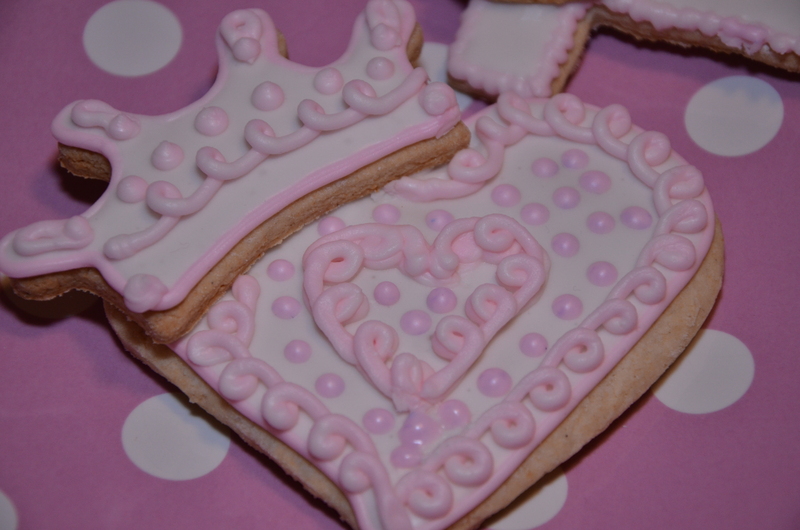 Turn the light on in your oven and place your cookies on the top rack to allow the heat of the light to help firm up the icing. 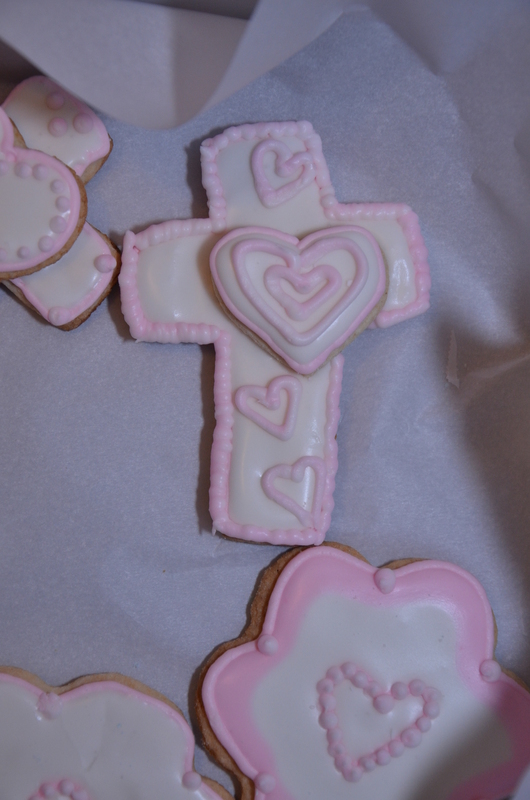 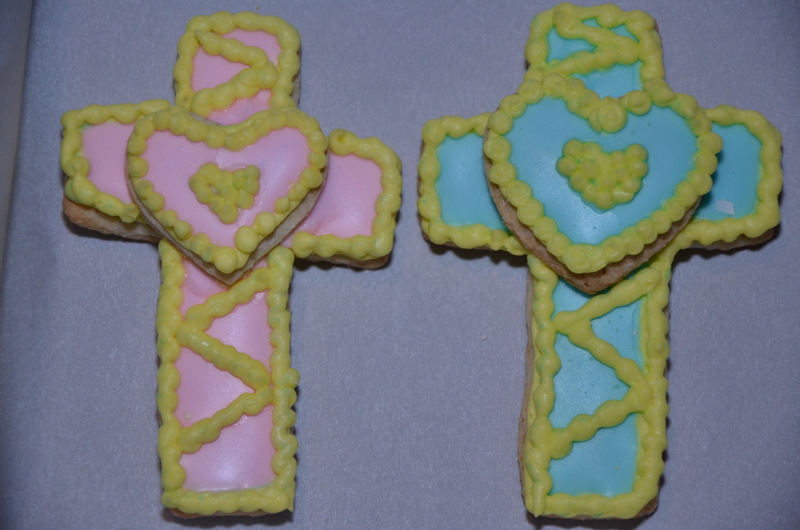 A few of the cross cookie designs. 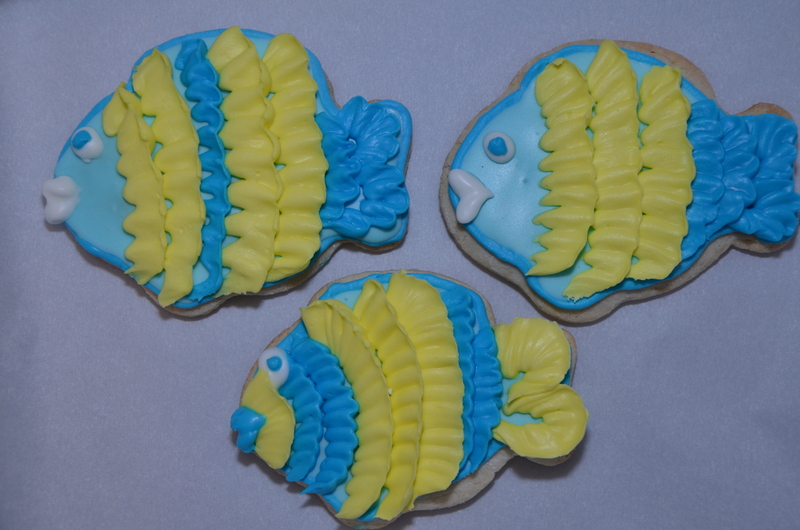 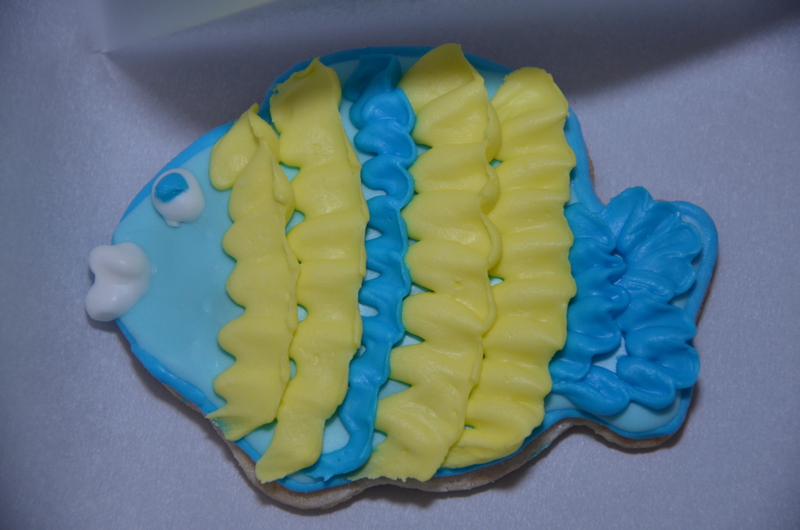 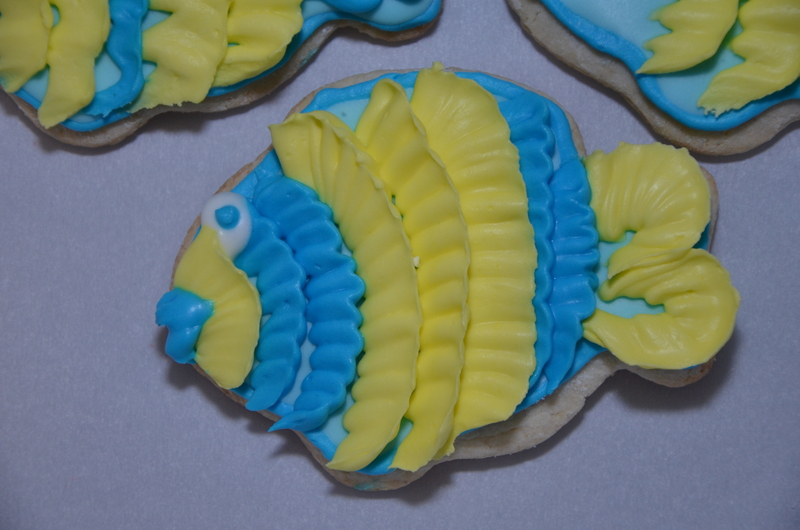 Some fish cookies (we are fishers of men). 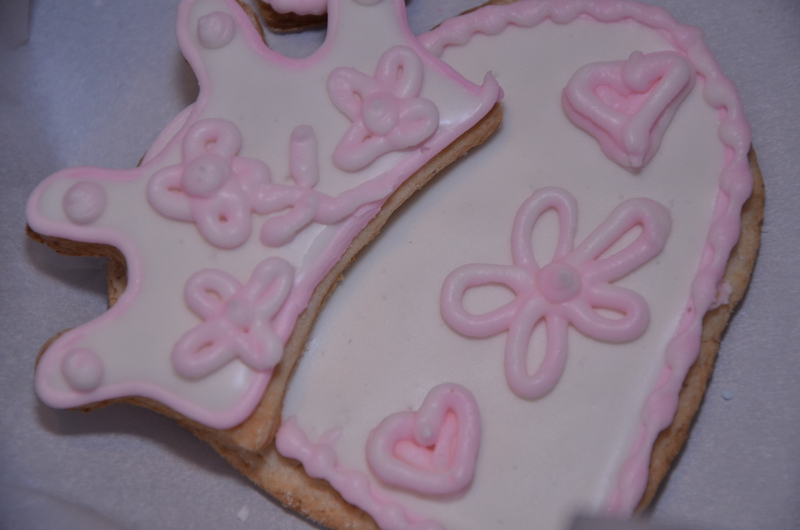 And hearts and crowns, symbolizing how girls/ladies are princesses in Christ. 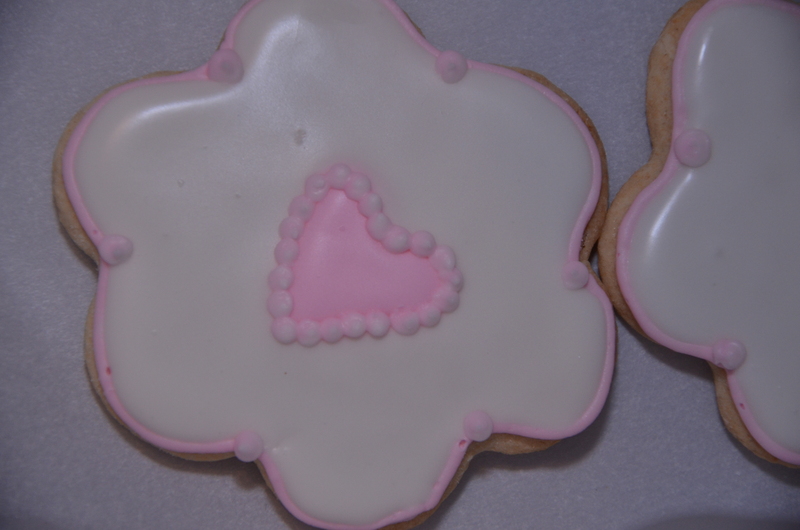 Finally a few flowers, grown with love. 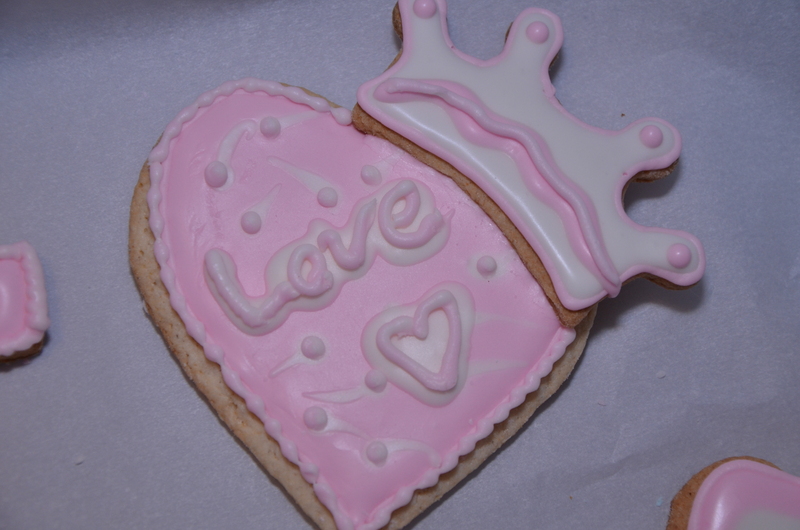 « Happy Anniversary to You!